Scott Greenwood with Team Argo Cycles races in the Formula USA National Road Race series and Championship Cup Series Northeast Regional Events. 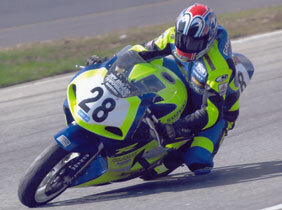 He stayed for the AMA Superbike events and competed in US Superstock ( 750cc). Qualified 13th, the second of two privateers in the first 4 rows. The race was rain delayed from Friday to Sunday and then again from Sunday to Monday. In the Superstock race Scott finished 13th overall and second privateer.